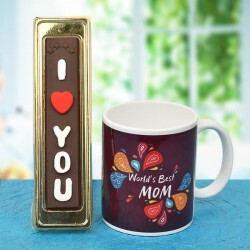 We have exclusive collection of gifts for Mother's Day to make your mom smile with utmost delight. 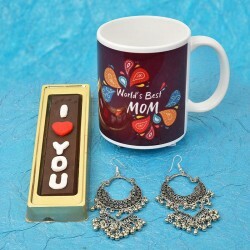 Send adorable Mothers Day gifts to her in Kolkata and steal her heart with something she'll never forget. 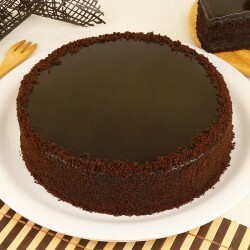 Pick her favourite and get it delivered right on time! A mother's love is precious. 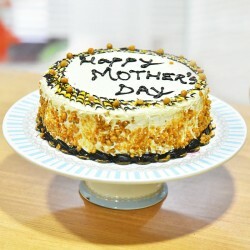 Sending a fascinating gift to your mom this Mother's Day will surely bring a sweet smile to her face. 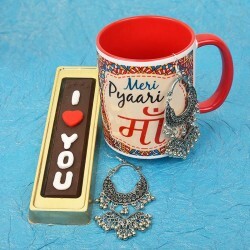 Celebrated on the second sunday of May, it is the most incredible occasion to express your love to her and send a token of appreciation and respect with a gamut of gifts. 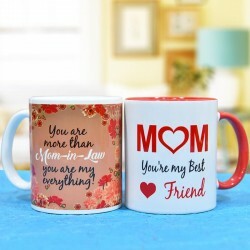 Falling on 13th May this year, let your mom celebrate Mother's Day 2018 with great zeal while she receives her share of love in the form of adorable gifts from MyFlowerTree. Flowers are a perfect Mother's Day gift option when nothing strikes your mind. Browse through our exclusive gifts collection including Roses, Gerberas, Lilies, Carnations, Orchids, Tulips, Daisies, Sunflowers, Chrysanthemum, Bird of Paradise, Gladiolus (Glads), Mixed Flowers and most effective Serenades flowers. If you are concerned about the freshness, be assured our flowers will always be delivered fresh and lovely. Choosing a gold plated rose is another good option to go for. You can also choose from our specially curated flower arrangements such as Alphabet arrangements, Flowers in a Glass Vase, Basket Arrangements, and so much more. You can also personalise your bouquet as per your preference. 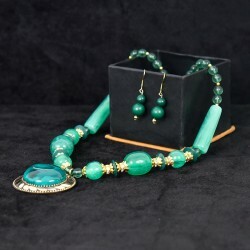 Since we never compromise on quality, you will never have to worry about it. No hassles, no worries, indeed! 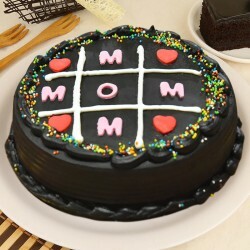 Apart from flowers, we have many dazzling options for you to select and send to her consisting of Stunning Flower Bouquets, Sugar Free Cakes, Flowers N Greeting Cards For Mothers Day, Chocolates, Eggless Cakes, Flowers N Cakes Combo, Candles N Aromas, Green Plants, Gourmet Hampers, Mothers Day special Cakes, Home Dcor, Chocolate Bouquets, Perfumes, Artificial Jewellery, Gold and Silver-plated Roses, Mothers Day Special Greeting cards, Cakes in a Jar, Flowers N Chocolates For Mothers Day, and so much more! 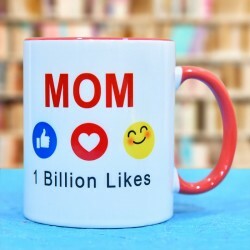 Pick her favorite and send Mothers Day Gifts to Kolkata. 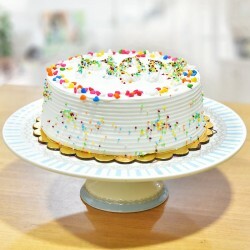 Choose our custom delivery options and you are good to go! You may be miles apart but you are always in her heart. 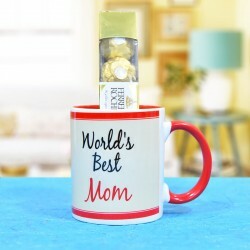 Send a sweet reminder of your remembrance by sending a unique and unusual gifts for Mothers Day. 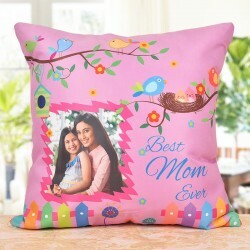 Send Mothers Day gifts online anywhere in Kolkata from among our eclectic collection viz. 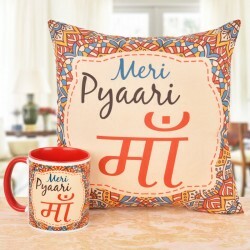 Personalised Printed Cushions with fillers, Wooden Plaques, Photo Cakes, Personalised Aprons, Personalised Ceramic Mugs, Wooden Frames, Caricatures, Photo Bouquets, Granite Stones, among a few others.